This chapter practically investigates how rapid prototyping technology can be effectively adopted to enhance ceramics production. The researcher used an experimental approach that analysed the conventional methods used in ceramics production and then introduced computer-aided design tools (CAD) and rapid prototyping technology into the development process. After that, four ceramic products were developed to test the viability of the rapid production process. Finally, the process was evaluated and compared to the conventional methods. The findings revealed that the introduction of CAD and rapid prototyping technology into the development process reduces the development time and also helps to ensure the accuracy of the prototypes produced. Besides, visualising and validating the design digitally (CAD models) also helps to identify possible faults at the early stage of the development process. 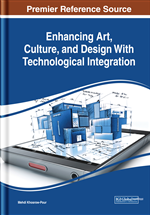 Therefore, the ideas explored in this chapter will give insight to ceramics designers and artisans on how they can effectively eliminate bottlenecks in the production process. Prototyping is a fundamental design initiation, which involves the construction of working models of conceived products for mass production. A prototype is the first or original example of a product that has been or will be copied or developed; it is a model or preliminary version (Chua, Leong, and Lim 2010). According to Soegaard (2010), a prototype is often used as part of product design process to allow engineers and designer the ability to explore design alternatives, test theories and confirm performances before starting production of a new product. For example, some prototypes are used to confirm and verify consumer interest in a proposed design whereas other prototypes will attempt to verify the performance or suitability of a specific design. Prototypes are also used to revise the design to reduce cost through optimisations and refinement. There are two main modes of prototyping: Visual/Virtual Prototyping and Physical Prototyping. Visual Prototyping is the process of simulating the appearance; colour, size or shape of the intended design visually while physical prototyping is the building of a real model.